Details on fantasy races, including rules for playing orcs, hobgoblins, goblins, and the fiery azhar. Expanded equipment tables including poisons, drugs, weapons, and general gear. New Hindrances, Edges, and arcane powers, plus a domain system for characters blessed with miraculous powers. New supernatural items such as Beamsplitter, Reaverbane, and the coveted Rod of the Buccaneer. Over 50 new monsters including hazards like Dead Man's Brain and vile horrors such as the fleshraker and unspeakable ichor. Statistics for common folk of Freeport such as watchmen, thieves, and merchants. Statistics for over 75 key characters described in the Pirate's Guide to Freeport, including heroic allies such as Buster Wallace and K'Stallo and terrible villains like Red Alice, Prendag the High Death, and Kothar the Accursed. Fury in Freeport: A new adventure to help you launch a brand new Freeport campaign! Freeport has gone savage! Will you do the same? 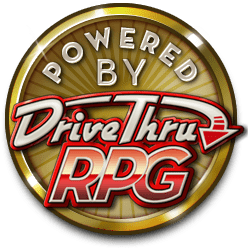 Each game from Green Ronin has free sample material available through our Web site, RPGNow.com, and DriveThruRPG.com. Learn a new game and experience what you've been missing today! The Dragon Age RPG is based on BioWare's popular Dragon Age RPG franchise, and brings the dark and gritty world of Thedas to your gaming table. This Quickstart Guide - originally featured on Free RPG Day - features rules, an adventure, and pre-generated characters so you can jump right into the action. The county fair is being held in Smallville this year and Superboy, the town's famous local hero, is invited as guest of honor. But it's not all prize pigs and cotton candy, as Knockout has come to the fair, and she's aiming to make a big impression! The DC ADVENTURES Quick Start includes an explanation of the rules, full game statistics for Superboy and Knockout, and a short adventure featuring a brawl at the county fair, so you can jump right in to the action. These ENnie Award-winning Quick-Start rules and the adventure Journey to King’s Landing are mean to be your introduction to both the A Song of Ice and Fire Roleplaying game and to the fantasy world detailed in George R.R. Martin’s best-selling series of novels. A Song of Ice and Fire Roleplaying is about Machiavellian court politics, family alliances and enmities, the rise and fall of kingdoms, and the clash of armies, but it is also about honor and duty, family, the responsibilities of leadership, love and loss; tournaments, murders, conspiracies, prophecies, dreams, war, great victories, and terrible defeats. It’s about knights, both false and true... and it’s about dragons. This title was added to our catalog on April 26, 2008.